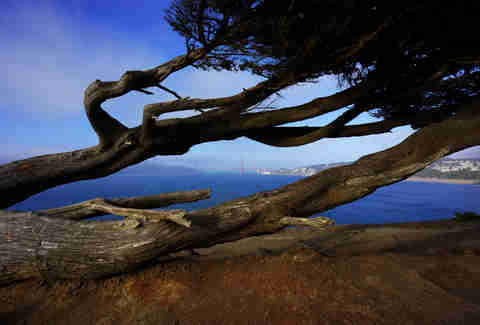 The thing about living in Northern California is that pretty much everywhere you look, there’s a killer view. 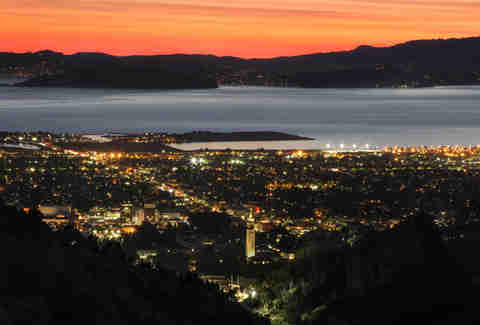 While you can drive down Divis or stand at the top of Twin Peaks to get an undoubtedly breath-taking view, with just a little effort -- like going on a 1 or 9-mile hike -- you can be rewarded with views that are so jaw-dropping, you’ll immediately feel just a little more relaxed than you have been in months. So lace up your shoes this weekend, head on one of these nine gorgeous hikes, and remember why we love living in NorCal to begin with. At the northwestern corner of San Francisco, there’s a hike along cliffs that offers some of the most stunning views you can imagine. 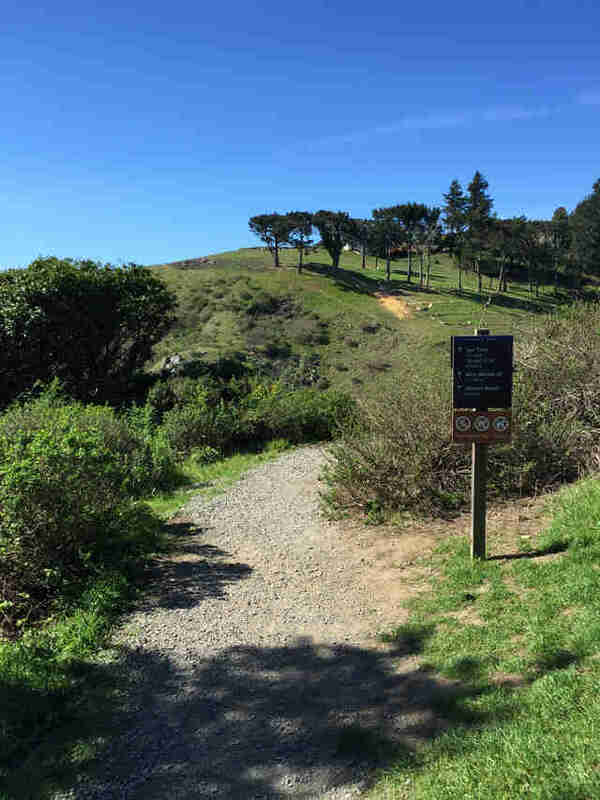 The winding, but almost completely flat, coastal trail is well-maintained and easy enough that pretty much everyone can do it -- which means it can get pretty crowded on the weekend -- and provides views of the ocean, Golden Gate Bridge, Marin Headlands, and China Beach. While you’re there, you can also explore the ruins of Sutro Baths, learn about the steam train that used to carry passengers from Downtown to the baths, see the remains of three shipwrecks, and get plenty of awesome photos. Bonus: at the end, you can reward yourself with a cocktail or a cold beer at the Cliff House. There is so much to do and see on Angel Island, the "Ellis Island of the West," but you want to hit up "The Sunset Trail," a nearly 5-mile hike that takes you to the top of Mount Livermore, the highest point on the island. At 788ft, you’re going to get those amazing views you’re craving... as long as you think views of the Bay Bridge, Alcatraz, Golden Gate, and San Francisco skyline are amazing (and if you don't, we're concerned that you might be a robot programmed for joylessness). In order to get to Angel Island, you’ll have to take the Blue and Gold Ferry, which departs from Pier 41 twice on weekdays and three times on the weekends (in other words: don’t miss it). 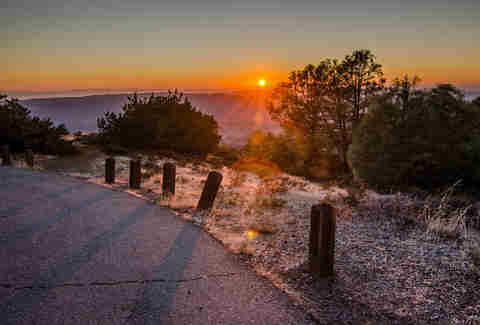 The first part of the hike is relatively easy, so pack a picnic to enjoy at one of the tables on the summit before you begin the rest of the 3.5-mile trek. You’ll definitely earn that cold beer you order on the ferry ride home. 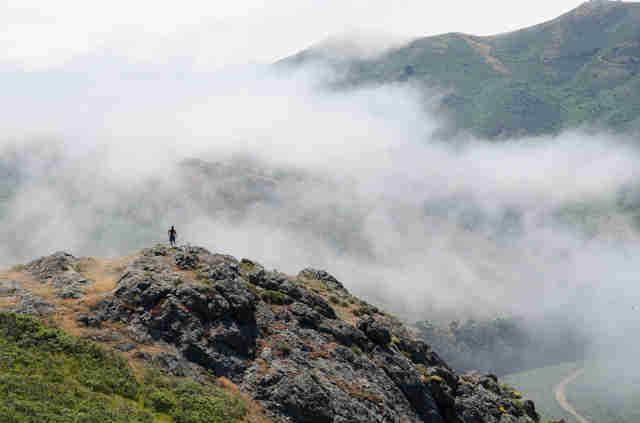 At 3,849ft, Mount Diablo is one of the Bay Area’s tallest mountains. And you know what that means: crazy good views... and a lot of work to get to the peak. Sorry about that. The Grand Loop takes at least half a day, but ultimately provides a birds-eye view of the Bay Area, and, on a super clear day, you can even see the Farallon Islands, Sierra Nevadas, and Mt. Lassen (!!!). It can get steep at times, so you want to wear shoes or hiking boots with good tread. And pack more water than you think you’ll need -- there’s not a lot of shade. Adventures! If you’re into gorgeous sunsets (which you are, unless you're the aforementioned joyless robot), the East Peak on Mount Tam is the place to be on a clear evening. At 2,570ft, it’s the highest point, and also super easy to get to. In fact, the Plank Walk Trail is so easy and short that we’re going to recommend you start with the Verna Dunshee loop first. 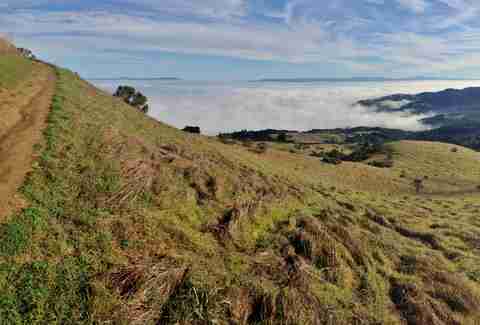 This trail gives you views of San Francisco, Northern Marin, and the East Bay, and is a full loop that’s only a little more than half a mile. When you arrive back at the parking lot, just get onto the Plank Walk, which is about a quarter of a mile and takes you all the way to the summit. Linger here, watch the sunset, and then head back down before it gets too dark. TLC once warned us against chasing waterfalls, and it might have been because they went on this particular hike and were totally exhausted... or it might have had something do with chasing dreams without thought for the future. Either way, now that the song is stuck in your head, ignore the lyrics and definitely go chase this 40ft tidefall that cascades down a cliff and directly onto the beach. 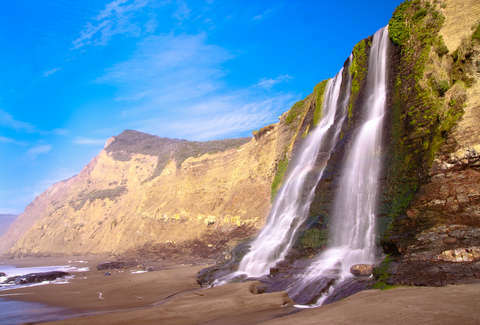 While the massive waterfall is definitely the highlight of this trip (as it should be), the ocean views as you walk along the cliff are breathtaking throughout. This hike is pretty intense, there are also a couple of steep parts, and the trail can get a little crowded, but it’s totally worth it. And pack a swimsuit: you’ll definitely want to stop at Bass Lake and have a go at the rope swing on your way back. If you want great views without a lot of work, look no further than The Anniversary Trail Loop. Like the name implies, Windy Hill Open Space Preserve has lots of... wait for it: open spaces (1,335-acres to be exact). Grassland ridges like these can be hard to find in the Bay Area, so this is a really huge bonus. 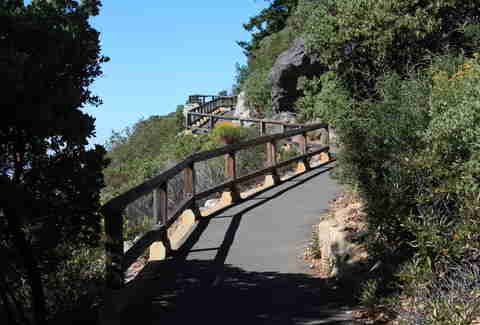 The Anniversary Trail is one of the easiest hikes in the preserve, but it has 360-degree views from the ocean to the bay. Oh, and, um, it’s usually windy. So bring a jacket. Yeah, that was probably pretty obvious. The Tennessee Valley Trail is another easy and popular hike thanks to the fact that it’s a pretty flat walk with minimal hills and maximum views. The trail winds through coastal hills and though it starts out paved turns into a dirt path after about half a mile. 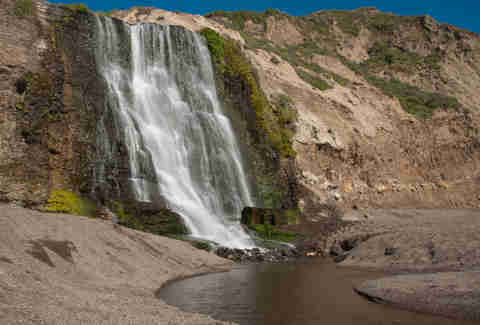 Ultimately, you’ll end up at a tiny, sandy beach that’s sandwiched between bluffs on either side. Look carefully, and you’ll see a hole in the black rock cliffs that's been carved by ocean waves. Although dogs aren’t allowed on the trail, be prepared to see a lot of horses, as the path is near some stables and is horse-friendly. Behind the historic Claremont Hotel is a 208-acre preserve with picturesque hiking trails. 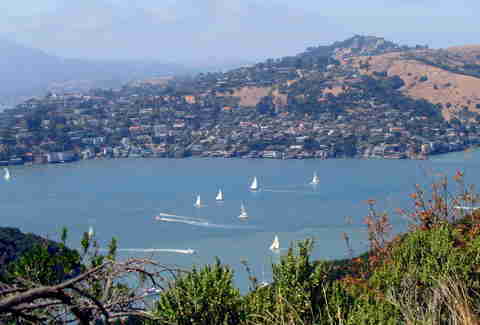 The Stonewall-Panoramic Trail is the primary trail, and also the one you’re gonna wanna do because it will take you to some of the best views in the Berkeley Hills that include Downtown Berkeley, Downtown Oakland, and the San Francisco Bay. The climb will definitely get your heart rate up; while it's just over a mile, you gain about 700ft of elevation... which is ultimately totally worth it. They all are though, aren’t they? Daisy Barringer is a freelance writer who grew up hiking around SF and is glad that now that she’s an adult, she can reward herself with a beer afterward. Follow her on Twitter @daisy.